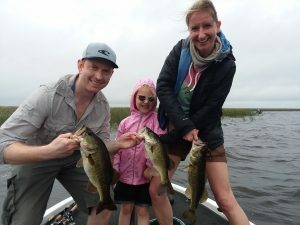 David Long his wife and 5yr old daughter came all the way from the UK to go fishing with Okeechobee Bass Fishing Guides. We had an awesome day catching nearly 30 bass and Isabella caught several all by her self in fact her dad had one on and I asked her to reel hers up and it was sitting right next to the boat when this one ate her bait. I love taking kids fishing and it is even better when the fish help out by playing along. 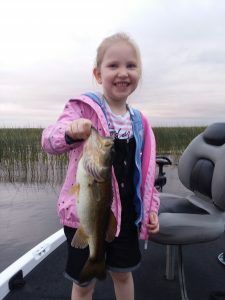 If you have kids, nieces, nephews, neighbors or whatever bring em on down to Okeechobee to get the hooked on fishing. 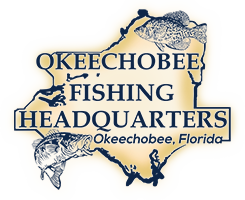 The post Okeechobee Fishing Guides- Okeechobee Fishing Report 3/16/19 appeared first on Lake Okeechobee Bass Fishing at it's BEST! Top Fishing Guides.